While most of India has been celebrating the Modi government’s decision to do away with the Rs. 500 and Rs. 1000 notes, there’s one set of people who’ve been hit hard by the move. 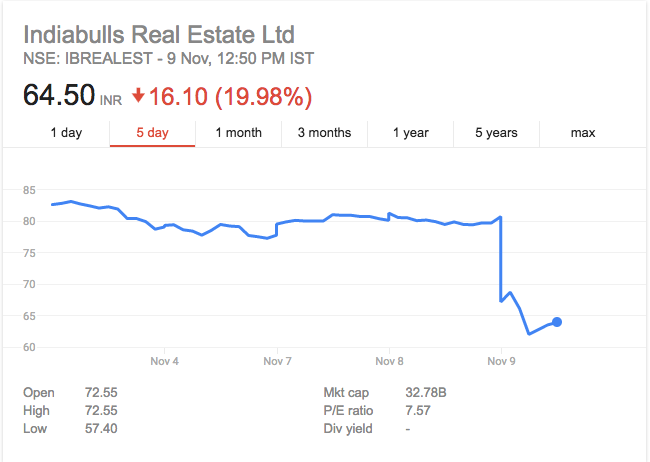 Real estate stocks have taking a pounding in early trade on the markets today morning. 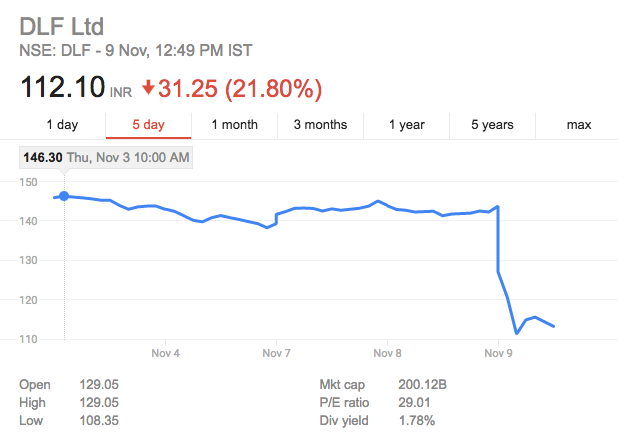 Shares of realty companies like Godrej Properties, DLF, Indiabulls Real Estate, Sobha, Oberoi , HDIL and Unitech were down 12-20 percent. It’s not hard to tell why this sell off is taking place. A significant percentage of Indian real estate transactions happen through black money. With Rs. 500 and Rs. 1000 notes no longer in circulation, it’s expected that demand for real estate properties will fall in the short term in India. But analysts believe that in the long term, the move could help the real estate sector. 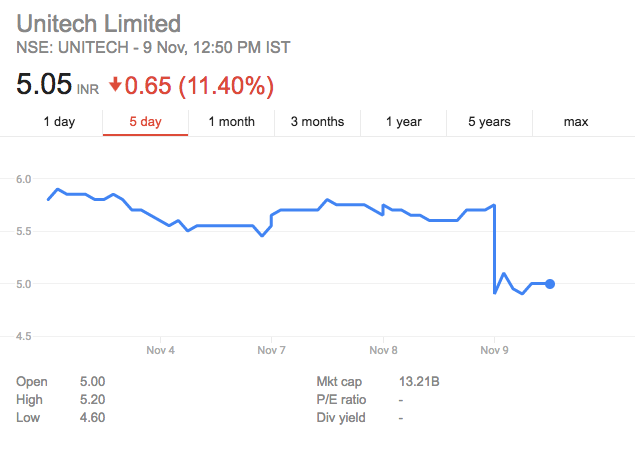 “Though chaotic initially, it is a structurally positive move for real estate sector. Eventual correction would bring middle class back in the market thus curbing the highest ever inventory build-up in India’s real estate market,” reported MoneyControl.